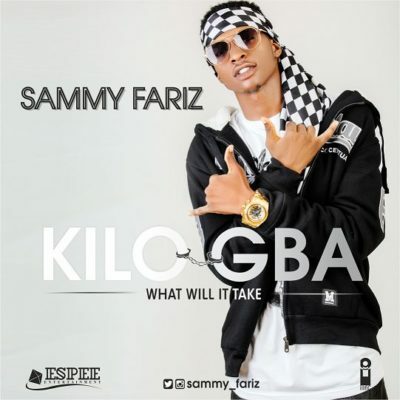 Sammy Fariz, born Salman Al Fariz, in the city of Lagos, Nigeria is a New Age Afrobeat, Artist of repute, with a stint blend of Dance Hall & various Afrocentric sounds. This young new talent broke into public limelight in December 2016 under the Espee Entertainment imprint, with his hugely successful debut single “Eko Ni London” (still growing as at press time) has truly come along way ever since that point. Getting massive play and love from major Radio stations in Nigeria & making the number one spot consecutively on Top Charts on prime FM Radio/TV Shows in Lagos & Terrestrial Music video channels in the African continent, with his plush video, directed by renowned Music Video director Clarence Peters, was a hint of the creative force vested in the vocal prowess and showmanship of this young talent. He made his debut performance in a big way as well when he performed alongside top Nigerian artist such as Olamide, MI, etc on the biggest concert event in Nigeria tagged “One Lagos”. Sammy’s sound took new heights on the global sphere when top Afrobeat, DJ Edu of BBC 1Xtra, made his song a regular feature on his playlist, on the popular “Destination Africa” show. Ever since his ratings are rising and his fan base is spreading across the globe. A jazz rendition of the hit single “Eko Ni London” was as well made by American jazz prodigy, Bryan Thompson, who has worked/performed alongside top acts such as Tank, LaLah Hathaway & legendary Jazz artist, Kenny G. Sammy Fariz is most definitely set on breaking that sophomore jinx with his latest offering titled “Ki Lo Gba” produced by DJ Coublon, who worked with him closely on this to birth a new sound. Featuring usual suspects from Coublon’s team, such as Klem, who co-wrote and did back-up vocals, while Fiokee, the eclectic guitarist put in the strings to create this bouncy-infectious-sing along, afro beat tune. This is a song that reinforces his stance as an artist who is bound to take his spot at the Top.